The special offer package and price is valid for purchases in individual capacity only. In case you want to subscribe as an organization / firm please contact us for more details. 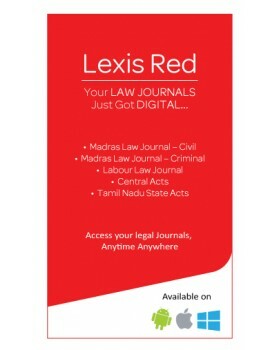 In the event there is any dispute, LexisNexis reserves the right to suitably decide the matter or refer the matter for its final adjudication to the Arbitrator, who shall be the Managing Director of LexisNexis. The decision of Arbitrator shall be final and binding on the parties. Post payment, you need to submit Lexis Red Subscription Agreement for the plan selected to complete the transaction. The subscription agreement can be downloaded from the "My Orders" tab.